This article was originally published by New Socialist, the webzine of the New Socialist Group in English Canada. 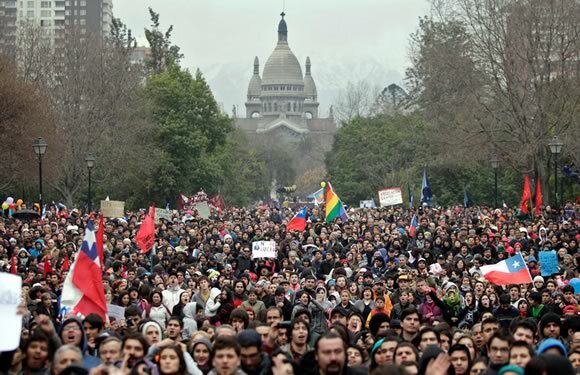 The Occupy Wall Street movement and the mobilizations of the “indignant” in Europe have sparked solidarity actions in many places around the world. 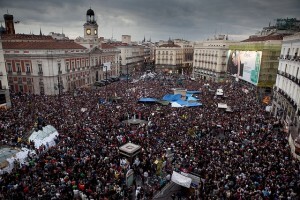 October 15, 2011 was a massive day of action that included over 60 marches in Spain, a huge demonstration of over 100,000 in Rome and Occupy actions in cities and towns across North America and in many other places. In Canada and Quebec, this dissatisfaction has not led to a new wave of activism so far, in part because these same students are often quite doubtful that there is much they can do to influence events. For many, the existing channels of protest–such as one-time protests against tuition fee increases, which can seem ritualistic, and choosing between almost identical political parties at election time–seem unlikely to yield results. 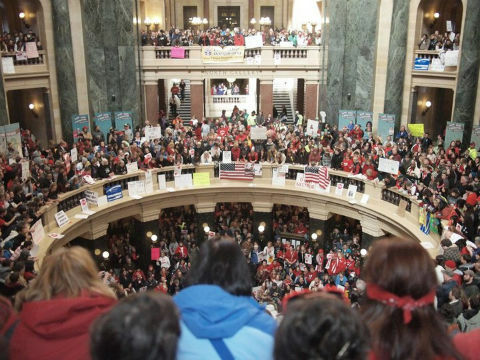 The Occupy movement is throwing something a bit different into the equation, and that could inspire new hope in mobilizing to make a difference.
! Congratulation, to this international movement! !